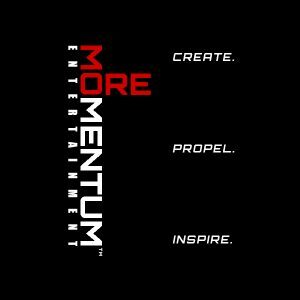 On Tuesday, October 20, 2015 and Saturday, October 24, 2015, MoreMentum Entertainment™ (MME) launched its first “X-Perience MoreMentum Seminar Series” at the prestigious Los Angeles Film School (LAFS) located in the heart of Hollywood. The event marks the first of many planned live events for MME and proved to be a great success. Students, professionals and industry hopefuls alike flooded the LAFS auditorium to garner career guidance and inspiration from top entertainment professionals, including: iconic actor and filmmaker Bill Duke; actor and producer Raz Adoti; MME Co-Founder and writer/producer Kukhautusha Croom; and former DreamWorks executive and writer Cinque Henderson. Henderson and Croom kicked off the series, sharing their unique, first-hand experience and career guidance on how to maneuver through and thrive in the entertainment industry. Henderson shared his insight as a working writer on some of TV’s biggest scripted shows and also gave his keen perspective on what it takes to get a studio exec to read an unsolicited script. That session was followed by Croom who broke down the ins-and-outs of putting together a winning pitch and landing a real-deal Hollywood meeting without an agent. The phenomenal event continued as British actor and producer Raz Adoti opened up with exclusive insider real-talk about how he broke into Hollywood and landed his dream career. And the seminar series capped off with a BANG as legendary actor and producer, Bill Duke shared personal stories of his tragedies and ultimately triumphs as one of Hollywood’s most successful actors and directors. The Los Angeles Sentinel was also on hand and eloquently captured the essence and scope of this empowering and educational event. Their article shines a spotlight on MME and their desire to empower and motivate industry hopefuls and anyone seeking career guidance or change.